Manchester United again came out winners in the EFL CUP finals, a match that was destined for extra time. Zlatan Ibrahimovic was the saviour in this one, heading in a cross from Ander Herrera just three minutes to the end. This leaves Jose Mohrinho leveled in EFL CUP trophies with Sir Alex Ferguson and Brian Clough who have won the Cup four times each throughout their Managerial careers. The Saints gave United a game to remember, coming from two goals down to level the Score 2-2 just few minutes into the second 45, having score late in the first half. 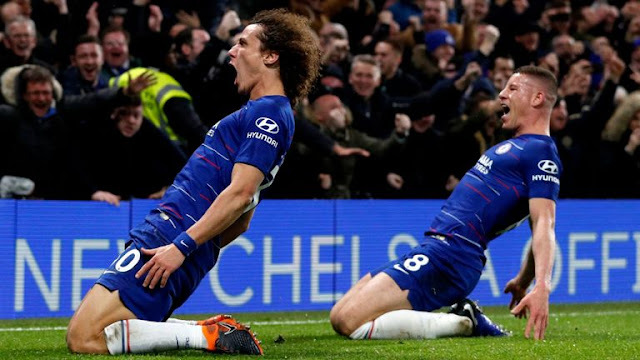 The game went all Saints as they took possession of the midfield attacking United than was predicted and would have had United trailing if Manolo Gabbiadini first goal was counted. 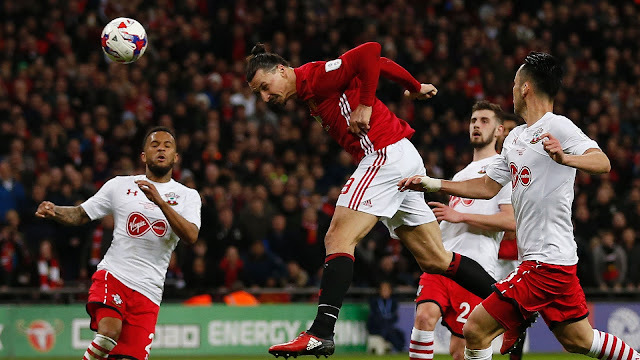 Zlatan Ibrahimovic opened the scoring with an exceptional free kick, then Jesse Lingard's sweet Curl made it two but Manolo Gabbiadini was there to speak for the Saints before half time with a long range shot and also early in the second 45 made it two with a great Volley. Saints put up a good show against all odds but the difference was made clear but Zlatan Ibrahimovic, who has proved a winner more than ones for Manchester United this season.